In 1925, the Walkers returned to Langley Field, Virginia. Their his first son, Kenneth Jr., was born in 1927, while Walker commanded the 11th Bomb Squadron and served as Operations Officer for the 2nd Bomb Group among other assignments. He next entered ACTS in 1928 as a student, graduated in 1929 and remained a member of the faculty. At ACTS he would become a key thinker and actor in the development of airpower theory and its strategic underpinnings. Kenneth N. Walker was emblematic of a group of young officers whose creative energy and vision would help to drive and articulate airpowers strategic mission. The pace of promotions was painfully slow during the interwar period, as Walker would remain a Lt. for 18 years until promoted to Capt. in 1935, and was still a 1st Lt. in 1929 when he entered ACTS. There he found himself immersed in a culture of innovative, risk-takers who ardently believed in airpowers potential. The preceding years of experience in varied tasks had undoubtedly helped him to refine his thinking on what role the Air Corps should play in the nations defense, but it was ACTS that provided the catalyst for those ideas and vision. Walker and Chennault would go, almost literally, toe to toe over this issue, and Walker displayed his characteristic zeal in arguing his point. This intensity and single-mindedness would become qualities closely associated, for better or worse, with Kenneth Walker throughout his career. During this same period two events in Walkers domestic life occurred. His second son, Douglas, was born at Maxwell Field, but shortly thereafter his marriage would end. Shortly after the divorce, Walker remarried and became the father of a third son, John, who went on to become an Annapolis graduate and retired with the rank of Captain (USN). This marriage, too, ended in divorce. From the ACTS he went on to the next rung in the ladder for young officers on their way through the ranks: The Command and General Staff School at Fort Leavenworth, Kansas. Upon graduation he was promoted to Captain, assigned to the 9th Bomber Group at Hamilton Field, California before leaving for a two year tour in Hawaii. Though no one was more closely associated with the role of bombers in the Air Corps strategic vision, then Maj. Walker was to become the Commanding Officer of the 18th Pursuit Group at Wheeler Field. Walkers Adjutant in the 18th Pursuit Group was a young Lt. named Bruce K. Holloway who would become a WWII ace with 13 victories in the Asia-Pacific theatre and go on to earn four stars and, after a number of important assignments, become Vice Chief of Staff of the U.S. Air Force. 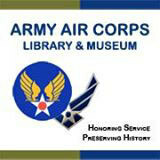 During his Hawaiian tour he was also Operations Officer of the 5th Bomb Group and Executive Officer at Hickam Field. His association with the 5th Bomb Group once again proved that he exploited every opportunity to pursue and refine his theory of strategic bombing. 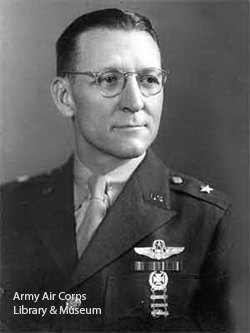 In her biography, "Kenneth N. Walker  Airpowers Untempered Crusader", author Martha Byrd writes that, "&as Operations Officer for the 5th Bomb Group, he developed a 40-page training directive that included a challenging tactical objective: development and crystallization of the tactics and techniques necessary to insure the effective reconnaissance of sea areas, interception and destruction of a hostile fleet or elements thereof.' The groups duties to that point had included such things as bombing a lava flow to protect a city, planting fig trees from the air, and rescuing men from the ocean. The training under Walker must have been sound: the onset of war in Europe found the groups personnel 'excellently trained for warfare'" In developing this training program, Walker seems prescient in anticipating the war to come in the Pacific as well. In 1941, now a Lt. Col., he was reassigned to Washington as Assistant Chief of the Plans Division for the Chief of the Air Corps. It was in this position that Walker would find the opportunity to participate in officially implementing the Air Forces strategic mission when, as part of a team led by Lt Col Harold L. George, that included Maj. Haywood S. Hansell, and Maj. Laurence S. Kuter (all former ACTS instructors) he helped to author the Air War Plan (AWPD-1). It was the plan for organizing, equipping, deploying, and employing the AAF to defeat Germany and Japan should America become involved in the war that was engulfing Europe and the Far East. It was completed by four men in nine days in August 1941. Just two months before Pearl Harbor. It was by all accounts an incredible feat representing the first time a precise definition and role for air power in a major conflict had been developed. 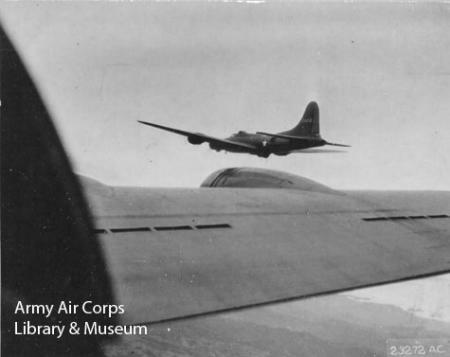 The plans were ultimately approved by then Air Corps chief, Hap Arnold and ultimately George Marshall and President Roosevelt. In late 1941 a strange thing occurs. Kenneth N. Walker, now a Brigadier General, appears on a list of general officers with overseas assignments. That in and of itself isnt strange, as he had sorely missed the opportunity to have flown in combat during WWI and was ready to serve overseas. The strange part concerned the assignment. It wasnt the European Theatre, the Air War Plans primary focus, an area of industrialized countries with the elements that had served as the foundation for strategic bombing theory. It was instead the Southwest Pacific, Australia to be precise. The Southwest Pacific had no industrial centers or webs, the targets were harbors, ships and vast jungles. Whatever his personal feelings about the assignment, he seized it with enthusiasm. By March of 1942 the Japanese had already landed in New Guinea rapidly closing on the Australian mainland. Operating from bases in New Guinea, with headquarters and resupply operations established at Rabaul, New Britain, elite Japanese forces faced an Allied force still in the early stages of organizing to halt the Japanese advance on Australia. Brigadier General Walker arrived in Australia with Brigadier General Enis C. Whitehead in July 1942. On his arrival, then 5th Air Force Commander, Lt. General George H. Brett, sent Walker on an inspection tour of 5th Air Force bases. Brett asked Walker to carry out a study of the existing bombardment methods being use.